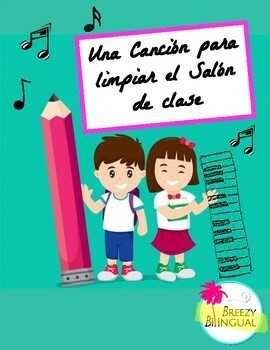 Do you need a fun Spanish song to use as a transition to clean up your classroom? I composed this song for students to sing along as they clean the classroom and to be completely silent and ready by the time it finished. It's absolutely adorable and a game changer in my class. Send me a DM to my instagram @breezybilingual account if you would like here the melody. Enjoy!